Dr. R.L. 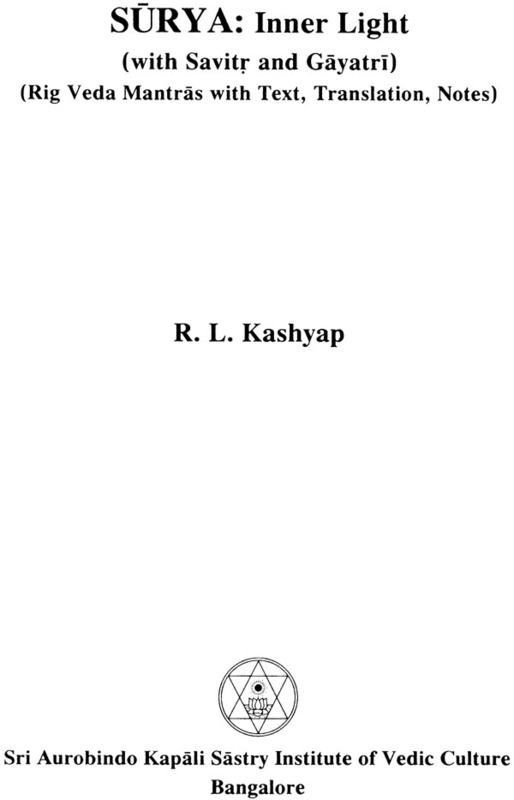 Kashyap is Professor Emeritus of Electrical and Computer Engineering at Purdue university, Lafayette, Indiana in USA. He had his Master’degree from Indian Institute of Science, Bangalore and obtained Ph.D. from Harvard University. He is the recipient of many International awards. In 2003 he has received Vedanga Vidvan award instituted by Maharshi Sandipani Vedavidya Pratishthan (Ujjain), an autonomous body of HRD, Govt. of India. He has written extensively on Veda. 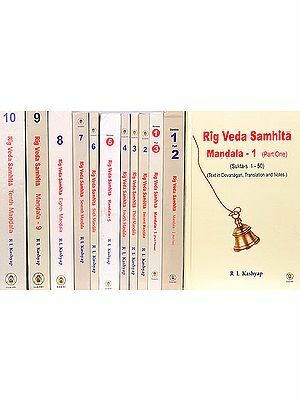 Some of his widely read books on Veda are: ‘Krishna Yajur Veda Taittiriya Samhita’ (3 Volumes), ‘Rig Veda –First Mandala’, ‘Rig Veda – Third Mandala’, ‘Rig Veda – Fourth mandala’, ‘Rig Veda – Fifth Mandala’, ‘Rig Veda –Sixth Mandala’, ‘Rig Veda – Seventh Mandala’, ‘Rig Veda –Ninth Mandala’, ‘Rig Veda – Tenth Mandala’, ‘Why Read Rig Veda’, ‘Rudra Mantras’, ‘Essentials of Atharva Veda’, ‘Essentials of Yajur Veda’, ‘Essentials of Sama Veda’, ‘Essentials of Atharva Veda’, ‘Sama Veda : Purva rchika’, ‘Work Enjoyment &amp; Progress ‘ etc. 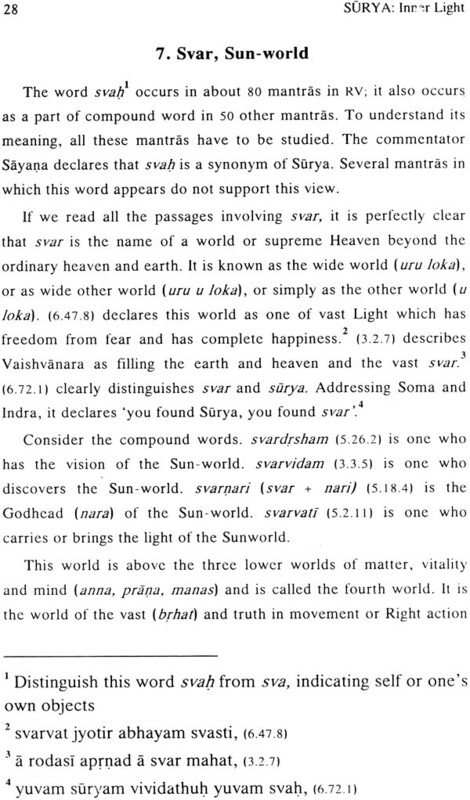 This book on the deity Surya-Savitr complements the books on deities such as Agni, Indra, Soma, Ganapati, Brahmanaspati, Rudra etc. 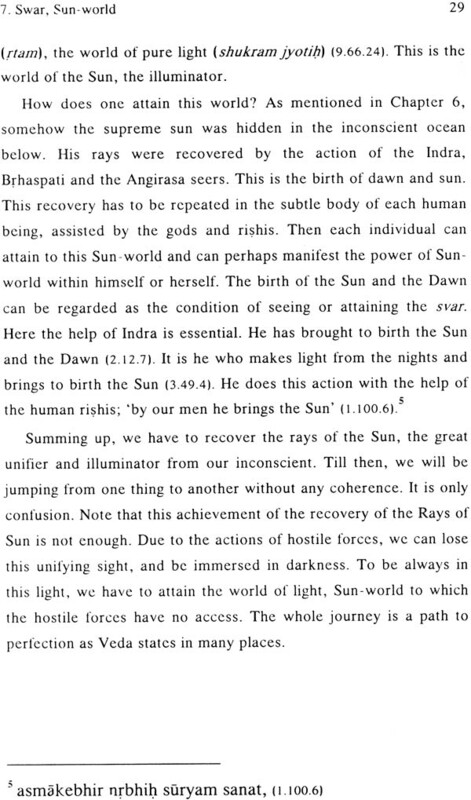 Surya is both the highest light and the highest truth. The physical orb seen in the Sun symbolises the only physical form of Surya. Chapters 2 and 3 have several mantras to this deity explaining the variety of his powers. 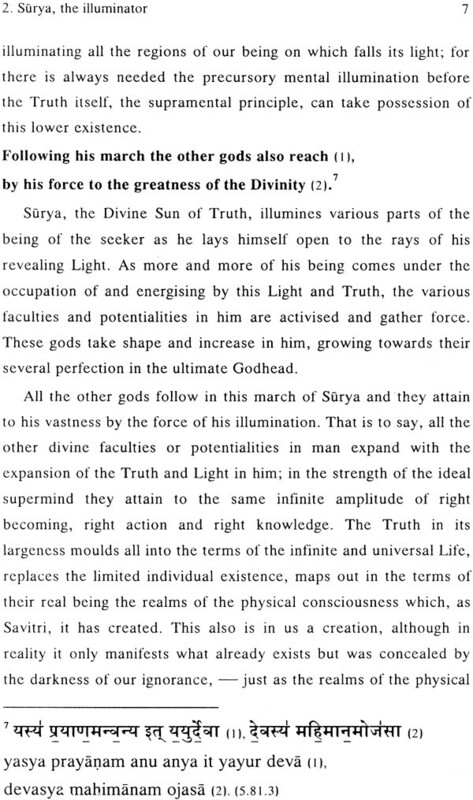 Surya is usually reserved for his passive aspects of Infinite Light. When there is a question of creation, the name Savitr is used. Chapter 4 deals with Savitar and the benefits of his working. It is said that Surya nourishes all by merely seeing them. Then how can the presence of suffering among living beings be explained? The thoughts on this topic as related in Rig Veda are in chapter 5. 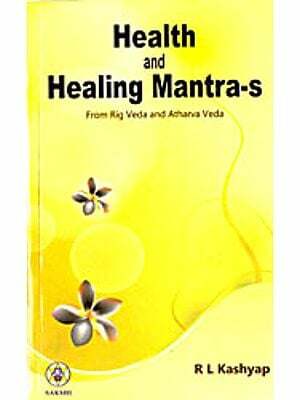 In the Hindu tradition, Surya is regarded as the healer of all diseases and pain, as is evident from the well-known book such as ‘Aditya Hrdayam.’ Several Rig Veda mantras invoking Surya for healing are in chapter 6. Note that the deities Soma and Rudra are regarded as great healers in Rig Veda, as indicated by several mantras such as (6.47.2,3). Chapters 8 and 9 deal with the four solar powers namely Mitra, Varuna, Bhaga and Aryama who are respectively Lord of love and harmony, lord of widness and infinities, lord of divine enjoyment, and lord of exalted power. Recall the word Bhagavan appears in the Rig Veda. “May we become the possessors of divine enjoyment, (bhagavantah)”, (7.41.4). 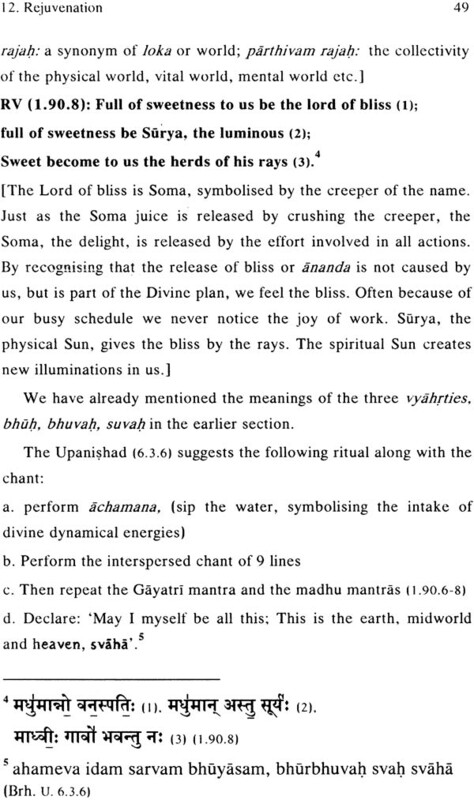 The four chapters 10-13 deal with the various aspects of the famous Gayatri mantra related to the Seer Vishvamitra appearing in the 62nd sukta of Mandala 3. It is addressed to the deity Savitr with the prayer that he may impel our thoughts towards the attainment of divine perfection. This mantra is the most widely used in rituals and worship and perhaps the most popular one in the Vedas. Often the question is raised, ‘why is this mantra regarded as so important among more than 200 mantras addressed to Savitar?” The greatness of this mantra is explained in several Upanishads. 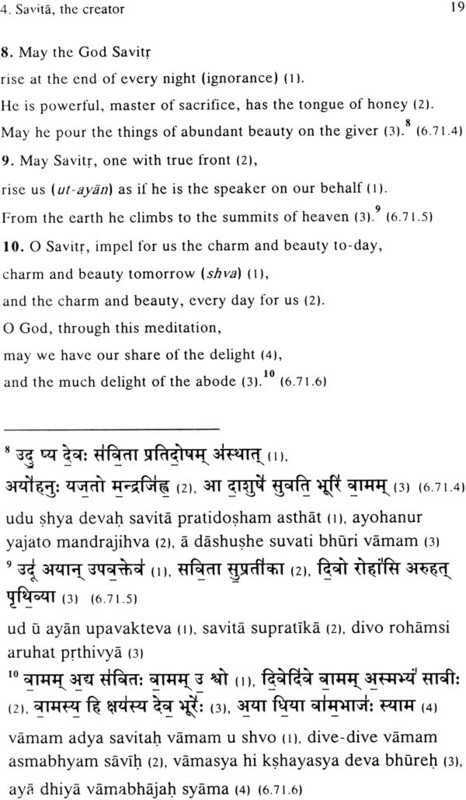 Brhadaranyaka U. in its fifth chapter gives many hints on using this mantra for meditation. Its greatness is explained in some detail by the chhandogya Upanishad in its third chapter beginning with the phrase, ‘Speech is Gayatri’. 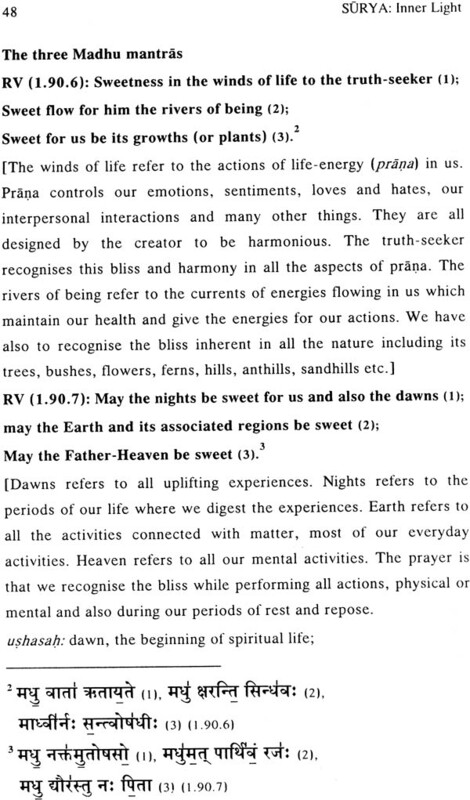 Brhadaranyaka Upanishad in its 6th chapter explains how this mantra along with famous Madhu mantras of RV (1.90.6-8) help us in developing the powers of rejuvenation of the mind and body. Some traditionalists believe that women should not recite the Gayatri mantra. The Appendix 1 in this book declares that this view is false. 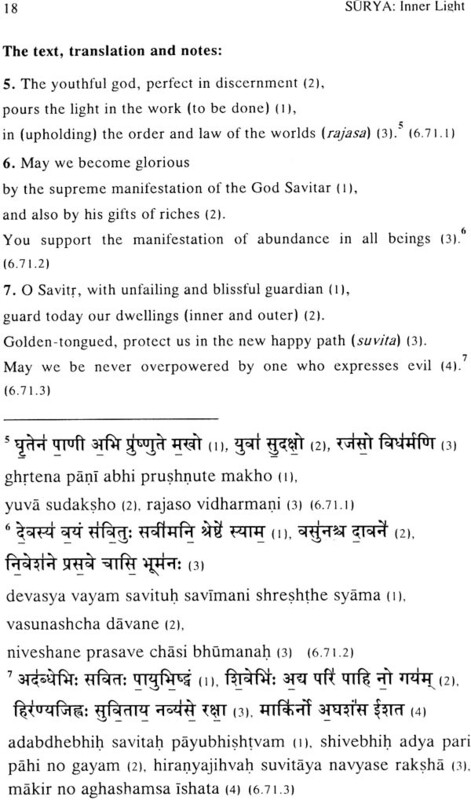 The authoritative texts like the Upanishads and Veda support the idea that Gayatri mantra is meant for the use by all persons. Acknowledgement: We are thankful to Smt. Indu Parthasarathy for sponsoring this publication in the memory of Sri V.R. Parthasarathy.